Go fishing with one of our recommended guides! Fish the Rogue River year round with Shaun Carpenter, one of the best guides in all of the NW. If you are looking for your Rogue River adventure, this is the right place. We'll see you soon! River Guide Chris Young was born and raised fishing the Rogue and Southern Oregon coastal rivers. 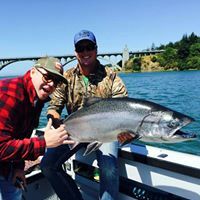 His skill and expertise as a guide parallels his love and respect for the sport of fishing and the rugged beauty of the Southern Oregon coastal rivers. 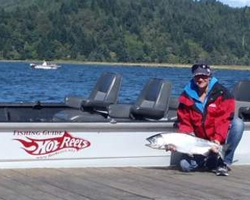 Terry has over 20 years of boating and fishing experience and is dedicated to ensuring your satisfaction! All guests use top of the line Lamiglass rods with graphite shafts, Shimano reels and an unlimited variety of tackle... and each party is individualized to ensure a personalized, quality fishing trip. 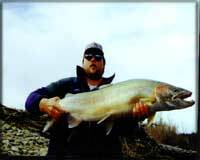 Hot Reels Salmon and Steelhead Fishing Guide Service of Southern Oregon and Northern California provides fishing trips on some of Oregon and Northern California's finest rivers. 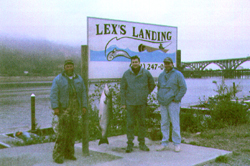 We offer guided fishing trips all year round. Please contact us if you have any question and book your next fishing trip today! PO Box 526 ~ 94224 N.Bank Rd.